Rural Housing Authority Home At Last program just got better. One of the great things to become available recently in Reno Real Estate is the Home At Last program offered by the Nevada Rural Housing Authority. This program allows people that might not have been about to get into a house previously. The program has down payment grants and competitive mortgages. This is offered throughout the state except Las Vegas, Reno, Henderson, and North Las Vegas and the home has to be under $400,000. The best part of this program is that it can be used with an Energy Efficient Mortgage. This is an easy to obtain add on that will allow the buyer to finance improvements into the home at the time of purchase. Since most people can’t afford to put allot of money into the home after the purchase this is a great option. The house will need an Nevada Licensed Energy Auditor like myself to come and rate the home prior to closing. This would be done around the same time as a Home Inspection. The good news is that I can do that also. Combining the two saves time and I offer a discounted rate. The Energy Audit is a detailed exam of the house and how it performs not only for Energy Efficiency, but also Comfort. Durability, Health and Safety issues. Many of these tests require specialized training and equipment. After the audit a report is generated suggesting the upgrades and the lender approves the work. Some requirements are that the items are going to repair previous issues mentioned and that they will pay themselves back in energy savings. The fact is the slight amount the mortgage goes up every month the payments to your energy provider will go down. This offsets the expense of the work and you get the benefits of the upgrades. The work is completed by a contractor within 60 days of closing and is paid by the lender once the work has been verified and tested out by an Energy Auditor. 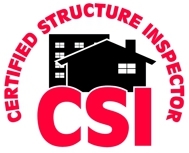 Please feel free to contact me regarding your Home Inspection or Energy Audit needs.